Traditional wooden ‘toys’ which children can sit in; these solid timber playground vehicles will make a welcome addition to any playground. Very sturdily built from smooth-faced timber and designed so that two to four children can sit in them, they can be used in a sequence or individually. Approximate length of each vehicle – 1.8m, width 0.85m. As well as a great “stand alone” feature, our playground vehicles are perfect additions to a themed playground. 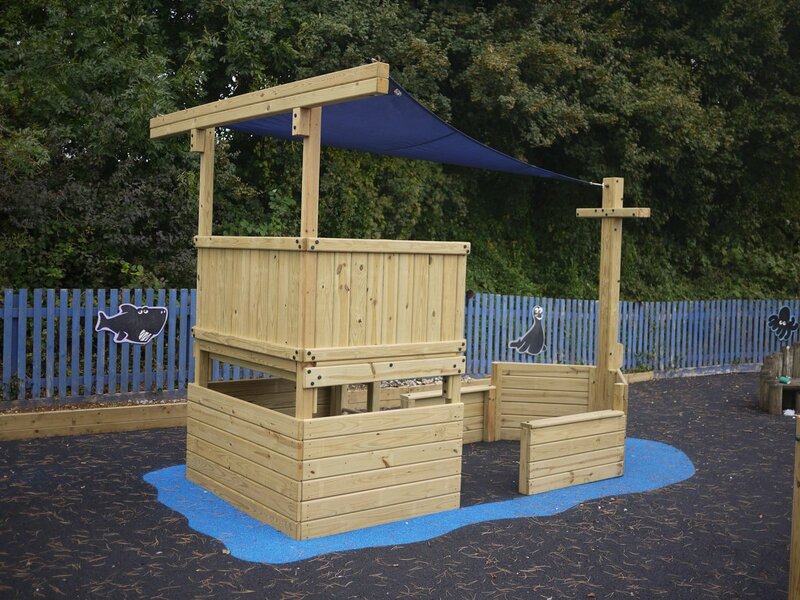 Here a pirate themed play area with island and landing stage lends itself perfectly to the inclusion of a rowing boat ! Or if you are looking for other ways to brighten up your playground, here are some ideas.. Thank you very much for turning this job around so quickly and my kids absolutely love it!! !